When you think of Barcelona’s Mobile World Congress you probably think of the largest mobile showcase event of the year. Mobile devices such as phones, tablets, computers and the like are what will undoubtedly fill the halls at the Fira de Barcelona. The mobile industry’s leading event, which has been around for over twenty years since its debut in 1987, will likely be the place where the bigwigs of the mobile and tech industry show off their latest and greatest gadgets and gizmos. But what you probably don’t expect to see are cars. That’s about to change. American automotive company Ford is heading to Barcelona, and they’re bringing their tech-laden B-MAX sub-compact multi-purpose vehicle with them. Lately, Ford has been touting its list of new cars as some of the most technically advanced on the market (an outlook that was clearly echoed by Ford representative and electrification specialist Amy Machesney in a recent interview). With the B-MAX, Ford looks to spearhead that sentiment later this month at the mobile-focused show. 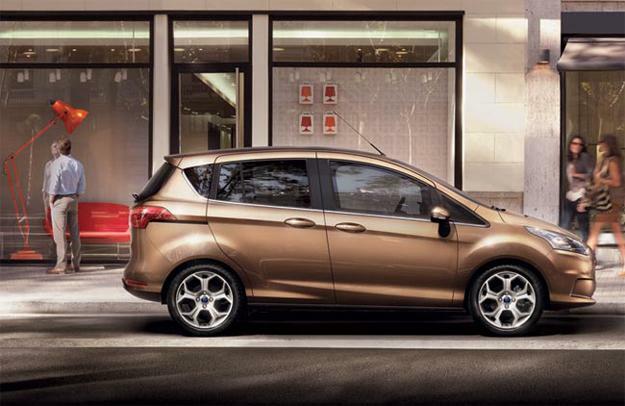 Ford will have a major presence, and be on hand in Barcelona on February 27th, to show off its new B-MAX,. In addition to the car itself, Ford will also use the event to highlight some of new and exciting technologies found within the B-MAX. At the moment details are thin, but what we can confirm is that the B-Max will feature a new sliding, Easy Access Door System, a 1.0-litre EcoBoost gasoline engine, or a 1.6-litre TDCi diesel engine. Ford’s attendance at this year’s MWC is of note for a few reasons. First, it’s the first time in the mobile industry’s conference history that an automotive manufacturer will use the event to unveil a vehicle. Second, Ford’s executive chairman Bill Ford will be the first automotive leader to deliver a keynote at MWC. With Ford’s scheduled appearance at MWC, the automaker is clearly looking to use the mobile-focused show as a launchpad for the B-MAX, and continue its declaration that the intersection between the automotive and tech industry is rapidly growing. Mobile devices are playing a paramount role in that growing intersection, and Ford believes because of that, consumers are looking to vehicles that have the greatest degree of integration. While the B-MAX will make an anticipated appearance at this month’s MWC in Spain, Ford still intends on officially unveiling the B-MAX to the automotive world at the 2012 Geneva Motor Show on March 6.